Join us for Jam On! 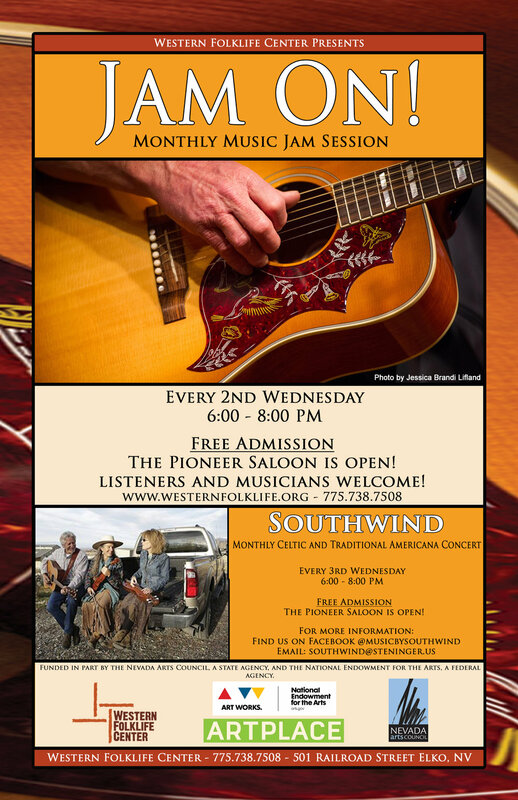 a monthly jam session every 2nd Wednesday of the month, from 6:00 to 8:00 pm, for all musicians—from beginner to professional. Bring your fiddle, mandolin, guitar, banjo or other instrument of choice and a tune to share! Spectators are welcome and the Pioneer Saloon will be open. Facilitated by members of local band Southwind and other community musicians. Admission is free.